What's happening with the Roberts' the summer of 2001? Please excuse the streaks on the pictures. Thats how I got them. Hannah and Spicy. 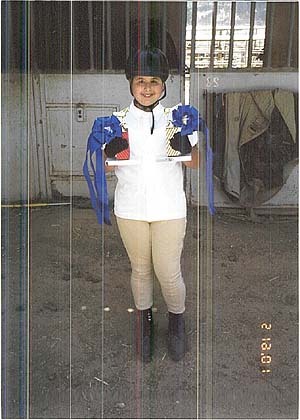 These are her 1st place awards for riding English style. 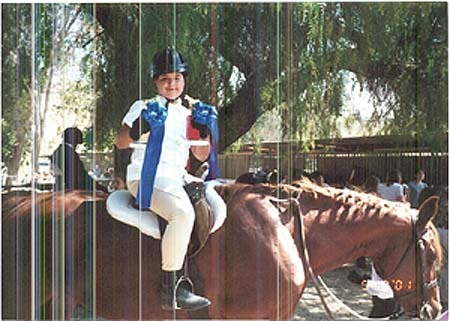 Her first competition riding English! Way to go Banana!! Hannah showing off her 1st place awards. 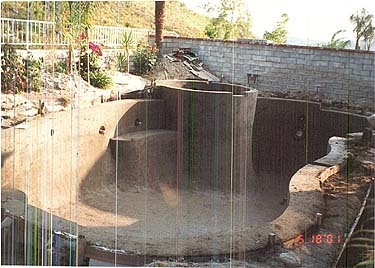 The Roberts Family is getting a new pool this summer. Here is the framework for it. 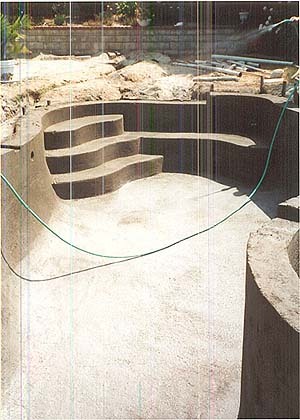 Here is the pool after the gunite (cement) has been sprayed in. 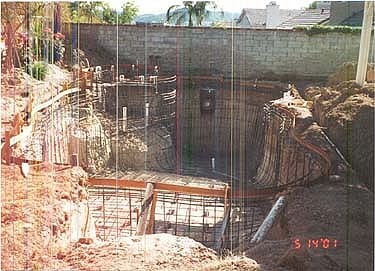 Here is the shallow end of the pool. More pictures will be added as I get them. We're all invited to a pool party in July!